As a coda to my earlier post about the rearming of Russia’s police (and why it’s a good thing), it’s been announced that traffic and transport police, as well as precinct inspectors (essentially local community officers) and maybe some regular beat cops will receive PB-4SP ‘Osa’ pistols firing non-lethal rounds, instead of their current weapons: conventional PM pistols or the new Yarygin PYa ‘Grach’. This comes 3 years after an initial commitment to begin use of non-lethal weapons and is a further sign of encouraging, if sometimes glacially slow police reform on he ground. For the real tech and gun mavens, the PB-4SP Osa (a pun: it means ‘wasp’ and also stands for Oruzha Samoobronnyi or Self-Defence Weapons), is a light, four-barrel gun firing 18.5 x 60 mm rounds using a single CR-123A high capacity lithium battery. 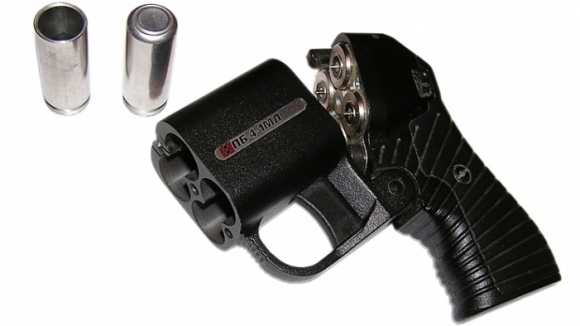 The rounds available are the T (Trauma), the rubber bullet described above, as well as a noise and flash round (SZ), a signal flare and a solid, lethal slug. Is Vladimir Putin Russia’s Margaret Thatcher? Or, when will the ‘men in black mercedes’ come calling?